Marvel’s new blockbuster, “Captain America: Civil War,” picks up the story of the Avengers from where “Avengers: Age of Ultron” left off. The superheroes are now divided into two teams due to opposing stances on the government’s regulation, led by Steve Rogers (Chris Evans) and Tony Stark (Robert Downey Jr.). “Captain America: Civil War” is highly anticipated not only due to the dramatic and emotional tensions between Team Captain America and Team Iron Man, but also due to the introduction of several important characters who have yet to be featured in the “Captain America” sequence. These figures include but are not limited to Black Panther (Chadwick Boseman), Spider-Man (Tom Holland), Ant-Man (Paul Rudd) and Everett Ross (Martin Freeman). Emily VanCamp made her first but brief appearance as Agent 13, widely known as Captain America’s girlfriend, in “Captain America: The Winter Soldier” in 2014 and continues to portray this role as a major character in “Captain America: Civil War.” The UCSD Guardian had a chance to listen to VanCamp’s thoughts on the film and the Marvel Cinematic Universe. Q: What new things can audiences expect from your character in this film that they might not have gotten specifically in “Captain America: The Winter Soldier”? Emily: We were really planting a seed in “The Winter Soldier.” Captain America didn’t even know that she was Sharon Carter within that film. So that’s definitely something new we find out. We find out who she is — well, Steve finds out who she is — and that inevitably deepens their connection because of the shared tie with Peggy. There’s just an inevitable, immediate trust between them. And we really explore that throughout this film, and we see that the stakes are high for her because her job is at stake if she’s helping Cap. That’s the bottom-line, but we really see her sort of follow her heart rather than her head, which is cool. Q: This film is a Captain America film, though it does have quite a few other Avengers in it. How do you feel the film differentiates itself from the previous two Avengers films and makes itself truly a new Captain America movie? Emily: It’s interesting. It does really feel like the Avengers. Everybody is in it, pretty much. So it is hard to differentiate it, but they really are kind of focused on the relationship between Tony and Steve and what they represent. And the rest is just sort of people picking sides. They really delve into the depth of what these two characters within the universe truly, truly feel. And they are the extremes of those feelings that, you know, other people are kind of following, so it still does feel like a Captain film. Q: Can you tell me what makes this film stand out from other Marvel films? Emily: I just feel like each movie gets better and better. It’s amazing to me. I mean, to pick one thing, this film is just absolutely epic, from introducing these great new characters to these epic battle scenes, it’s just taking it to a whole other level. The Russo brothers did an extraordinary job with it, so not to put down any of the other films, which are amazing, but I just feel like this is kind of the biggest one they have done yet. And that’s kind of what Marvel does. They never, never disappoint. So, hopefully everyone loves it as much as I did. Q: This is your second time working with the Russo brothers. Can you describe what it’s like, working with them, and how working with a pair of directors feels different than working with a single director? Emily: Absolutely. This is my second time working with the brothers. I worked with brothers on “Carriers” as well — honestly, I think it’s an amazing way to work. They obviously are brothers so they have a tremendous rapport. But with a movie of this scale, it kind of is amazing to have two people. One person can be focusing on one thing, and one person can be focusing on the other. So they really get great performances. They get great effects. It’s double the power — to keep this huge engine moving, it really helps to have two people, and they are both brilliant and kind of extraordinary in their own way. So honestly it’s a huge bonus, and they’re great guys and really fun to work with, so it’s like a win-win all the way around. 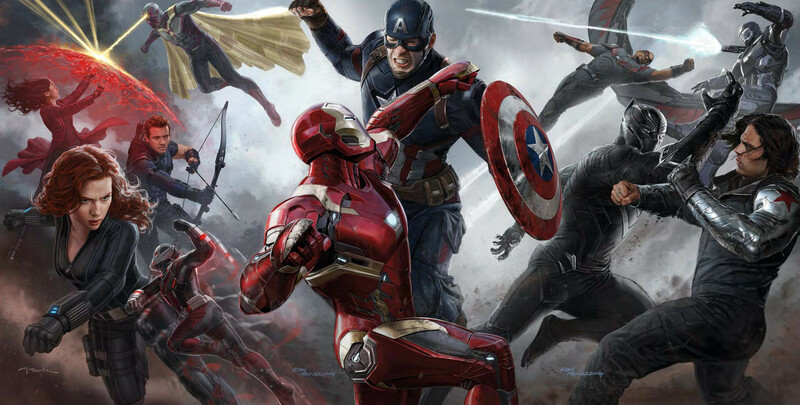 Q: With “Captain America: Civil War,” what are you most excited for in the future with Marvel’s cinematic universe? Emily: Well I’m always excited for all of their films, to be honest. Whether or not I’m a part of them, you just don’t know until they’re sort of written, so I think it would be amazing to continue in the universe. But even if I don’t, I’ll certainly continue watching because the movies just keep getting better and better. Questions asked by University of North Carolina, Seattle Pacific, Webster University and University of Hawaii, respectively. All questions compiled and transcribed by the UCSD Guardian.